Recently I heard about the new exercise and fitness track offered by CIMSPA. I immediately found it interesting as I do with anything that aims to promote standards within our industry. Standards are something that I am passionate about, it is so important that we keep building on the professionalisation of our industry. Over the years I have seen great improvements made from the days where anyone could be a personal trainer… and that was widely accepted. No qualifications. No insurance. No history. Now back then not all trainers were bad or unqualified, there was just no minimum accepted standard. We are now at a point where on the whole the industry is regulated and there is a somewhat minimum standard in the industry… at least in the mainstream gyms. This has been great, and has really started a new generation of fitness professional. There is now a new option on the regulatory block for fitness professionals. 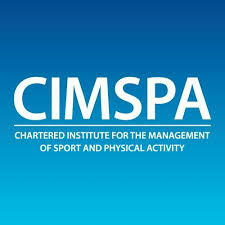 CIMSPA, or by its full name Chartered Institute of the Management of Sport and Physical Activity has launched a path for the recognition of fitness professionals. It is open to those who have a level two or above. The launch of this track of recognition from CIMSPA gives a true alternative for fitness professionals from REPs. This appears to have had a very good uptake by the industry and particularly those representing employers. This was backed by the sporting future strategy, which gave backing to CIMSPA. Currently they are in a period of soft launch, but demand for memberships is high. This makes it an exciting time for CIMSPA and they have an interesting role to play in the future of regulation of our industry. Those who hold a level 2 qualification can apply for affiliate level membership, with those with a level 3 can apply for practitioner level. Over time the idea is to build this into chartered practitioner level. This is something that I personally feel that the industry needs and could work very well! This also extends to new areas such as physical activity and performance and sport. The vision seems to be in align with what I feel the industry needs and wants. There needs to be a progress route that is delivered in a manner that is open to the new breed of fitness professionals. Also it has been very interesting to talk to an organisation that truly is interested in what its members, or at that point potential members had to say! For any of you guys that are interested in joining CIMSPA or just want to find out more have a look at the website at: CIMSPA Website.